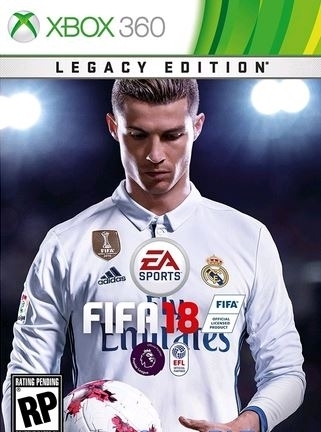 EA SPORTS™ FIFA 18 Legacy Edition* launches September 29th on PlayStation 3 and Xbox 360 featuring the latest kits, clubs, and player squads from top leagues around the world. Gameplay features and modes will have parity with FIFA 17 on PlayStation 3 and Xbox 360. The FIFA 18 Legacy Edition Pre-Order offer includes up to £10 worth** of Jumbo Premium Gold Packs to kick-start your FIFA Ultimate Team™. FIFA 18 Legacy Edition will feature the same gameplay innovation from FIFA 17 without any new development or significant enhancements. FIFA 18 Legacy Edition will feature an updated visual identity with a newly design in-game front end and menu screens. The following Game Modes will be included in FIFA 18 with the same features and innovations from FIFA 17.